In a flash, Kevin Moore’s world was turned upside down after a devastating motorcycle accident in 2013. 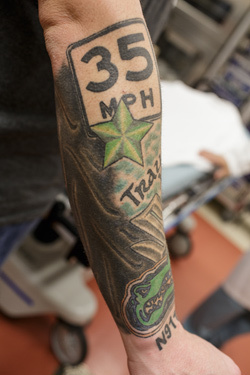 His colorful tattoos serves as a reminder of the incident and the care team at University of Florida Health that saved his life. Now, he continues to ride on, and share his story of strength and survival. Many people were involved in Kevin’s care. In this photo gallery, we can take a glimpse of Kevin’s active lifestyle. 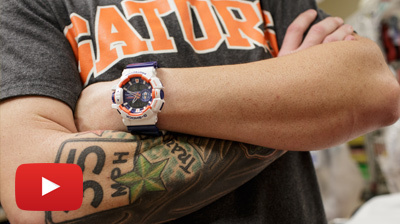 The tattoo of the University of Florida mascot on Kevin Moore’s wrist is — on first glance — a tribute to his favorite college football team. But for Moore, the meaning is deeper. Moore was five months into training for a career in law enforcement, his dream profession, on a full scholarship. In a flash, everything changed. Moore and some friends were on Ozello Trail, a 9-mile winding road outside of Homosassa Springs, Florida. 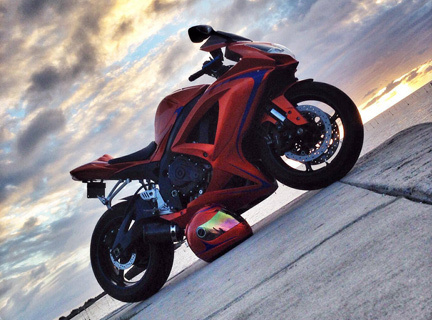 The route, which twists through marshes and ends at the Gulf of Mexico, is a popular ride for motorcyclists. “The weather was perfect — clear, sunny and breezy,” said Moore, 31, of Brandon. As he rounded a curve, Moore’s motorcycle hit a patch of sand. The bike skid off the road and plunged into a marsh. His friends immediately called 911. At first, Moore didn’t think anything was wrong. But the paramedics said they couldn’t find a pulse in Moore’s left arm. 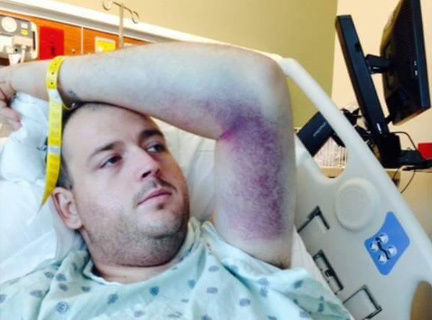 His blood pressure was hard to read and dangerously low — a sign of internal bleeding. Moore was in danger of bleeding to death. Moore was rushed to Seven Rivers Regional Medical Center in Crystal River and transferred to the UF Health Shands Trauma Center, a Level 1 trauma facility better equipped to handle the extent of Moore’s injuries. 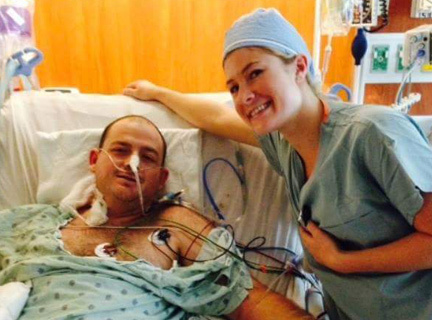 He spent several hours in surgery the night of the accident — and the morning after. He needed nearly 20 units of blood. Surgeons removed about 3 feet of his small intestine and half of his colon. He also sustained a lacerated spleen. Moore spent about two weeks in the hospital, including four days in a medically induced coma and a week on the intensive care unit. His surgery left him with an open stomach incision, requiring special dressings and a system that would help his wound heal from the inside out to decrease the chances of a devastating infection. His doctor told him he might need a colostomy bag. Moore’s travel was limited from the bed to the chair and short walks down the hallway. “I was determined not to end up on a colostomy bag,” he said. 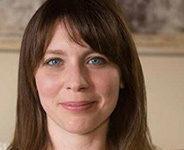 “Adjusting to my new digestive system was — and still is — a challenge. The simplest of foods upset my stomach on a regular basis,” he added. His weight plunged from a muscular 267 pounds to 138. Although the accident forced Moore to withdraw from law enforcement training, he took a job as a tow-truck driver as soon as he was well enough. He worked more than 80 hours a week so he could pay his tuition and expenses and last August, Moore returned to law enforcement training. 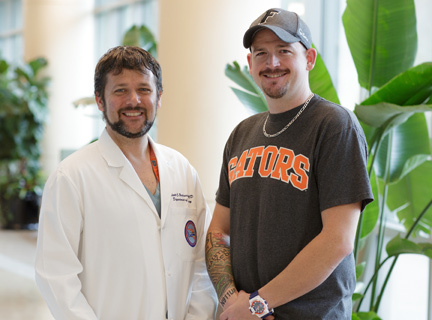 He graduated at the top of his class in January — and shared the moment with one of the surgeons who saved his life. Moore said he is grateful for the care he received throughout his journey, from the EMTs and flight paramedics to the doctors and nurses at the hospital. 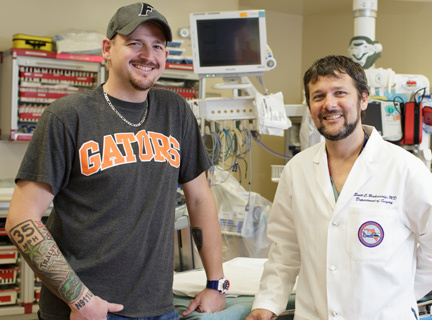 “If it wasn’t for UF Health, I wouldn’t be alive today,” he said. Today, Moore sports a half-sleeve tattoo on his arm as a way to remember the accident and those who helped him to heal, including the Gators logo and the tail number of the helicopter that flew him to UF Health. Life still isn’t without its challenges. Moore is on a strict diet and has to take expensive medication twice a day — and will have to do so for the rest of his life. “I learned that I’m a lot stronger than I ever imagined. I had a lot of ‘I don’t think I can do this’ moments. 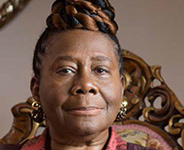 But ultimately, you can do things beyond what you think you’re able,” Moore said. 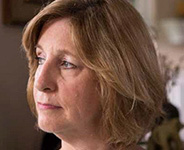 No two patient stories are alike.